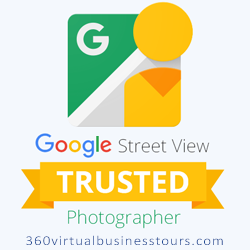 Make sure to have your newly published Google Maps virtual tour opened on a web browser. You should have already received the link from us. 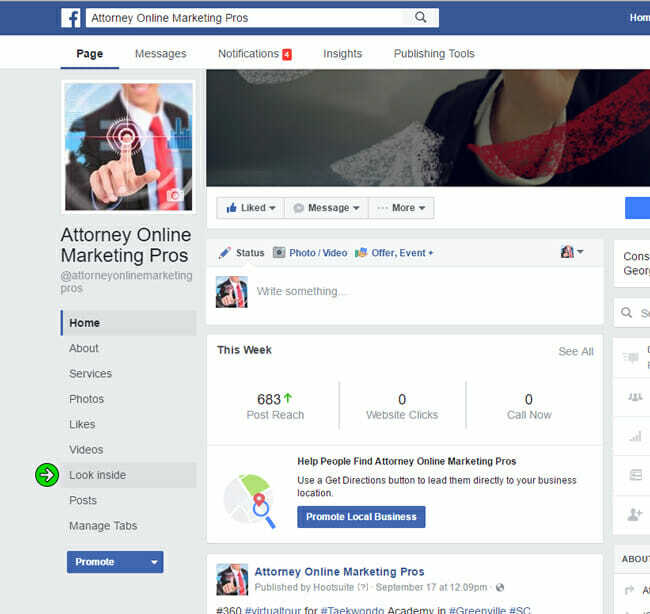 Angle and position it (by clicking and dragging on the screen)to the way you’ll want it displayed on your Facebook business page. 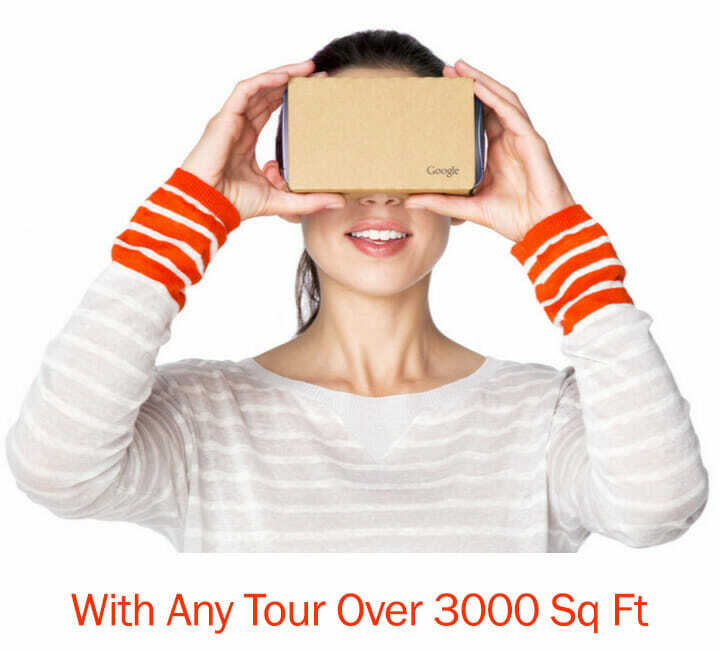 Click on the image above or click here to arrive on the “Look Inside” app landing page. Click on the purple button. It will bring you to your Facebook account where it will ask you to choose which business account you want to add your new tab to. 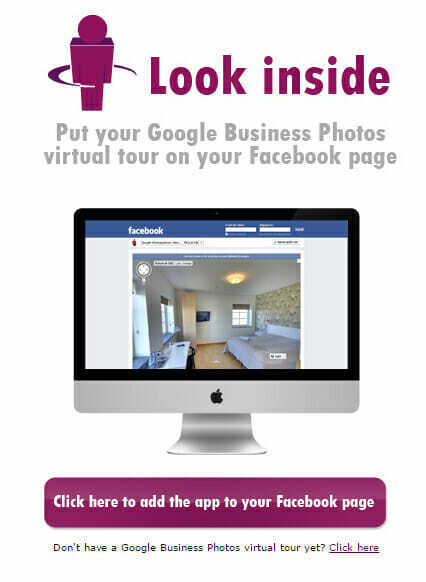 Select your company business page. You will see a congratulations message. The next step is to go to your Facebook business page. You are free to exit that website. On your Facebook page, you will now see a “Look Inside” tab along with your other tabs. Click on it. Once you have the tab opened, you will see new instructions to complete the set up. Follow the instructions accordingly.